Hinemarama Te Amo- Kanto will be one of 15 rangatahi travelling to Toronto Canada to participate in this years World Indigenous Youth Leadership conference. 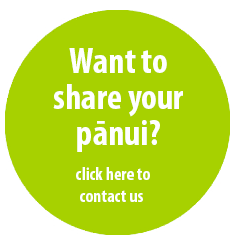 Te Puna Hauroa provides services for rangatahi and is the organising Trust responsible for this amazing opportunity for the selected youth from home here in Aotearoa. Hinemarama is a recipient of the Boards Discretionary grant, in support of Education and leadership. We look forward to sharing her experiences with you all on her return.